Mama Mia! It’s a Meat Sauce! – Voila! Mama Mia! It’s a Meat Sauce! Really quick. Really easy. And really, really good! Meat sauce is a whatever-you-fee-like sauce. You can chop carrots and onions. Add eggplant and artichoke hearts. Mix in green onions and mushrooms. And what spices do you like? Garlic. Parsely. Basil– you can put any of those and a ton more in the sauce, too. It’s one of those blank slate dishes that gives you the creativity to make whatever you fee like. I added some milk and worcestershire sauce to this recipe. 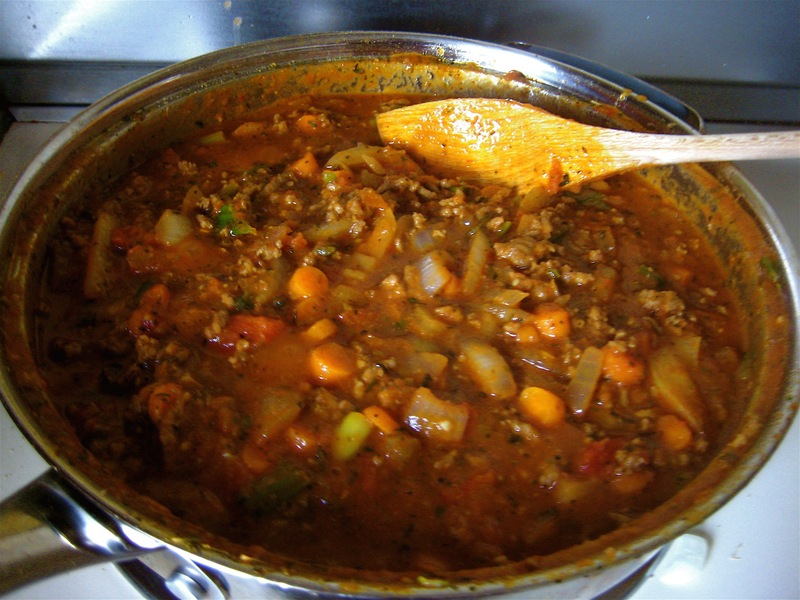 I had never used either of those ingredients in the meat sauce before and noticed several recipes including them. Some even used cinnamon! That’s just the veggies. You can use ground beef, chicken, veal or turkey. And then of course there’s traditional marinara or vodka sauce. Choices! choices! choices! For now though I’ll focus on what I made for this particular sauce, and yes, it’s an Emily original! 4. In same skillet, add 1-2 T olive oil and brown meat. Add salt and pepper to taste. 5. Return veggies to skillet and combine. 6. Add marinara, milk, worcestershire sauce and spices. 8. While sauce is simmering, boil water and cook pasta. Voila! Takes 45 minutes total for a fabulous dinner! And of course you could have a salad or garlic bread on the side. So many options! 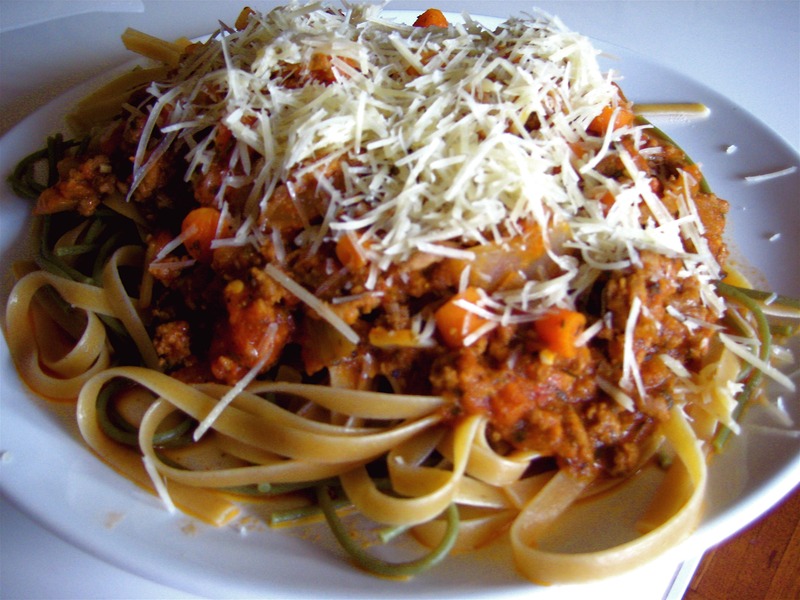 Pingback: Bolognese Sauce « Voila!